We’ve posted the 47th update of our car reliability stats. These cover through March 31, 2018, so about 11 months ahead of those you’ll find elsewhere. 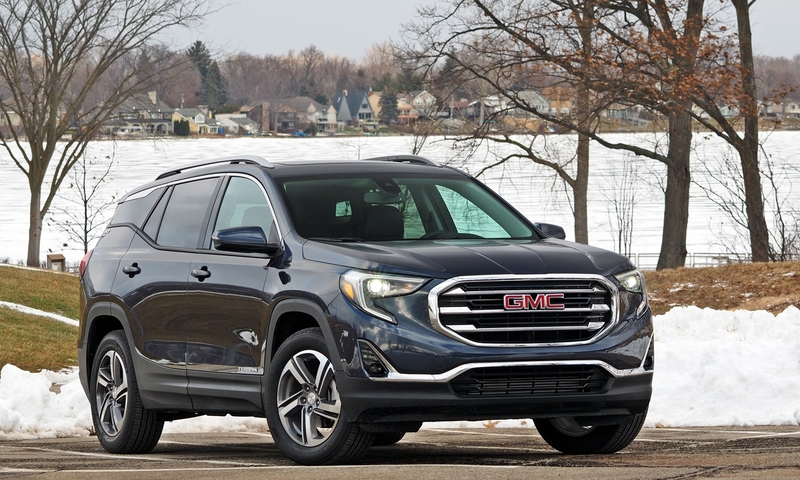 The redesigned Chevrolet Equinox and GMC Terrain rarely required repairs. Congrats to GM for a clean launch. The Chrysler Pacifica has worsened in its second model year. I’ve been meaning to split out stats for the hybrid, but haven’t yet. A higher percentage of hybrids could be the cause. Limited data on the redesigned Toyota Camry indicate an about average number of repairs. Limited data on the new VW Altas, redesigned Audi Q5, redesigned Honda Accord, and redesigned Honda Odyssey put them all in the red zone. We’ll have more solid stats on these in three months. A very small amount of data on the Tesla Model 3 suggest it’s having problems, but not as many as the Model S and Model X did early in their runs. Instead, the Model 3 appears to be having about as many problems as the more mature models have been having lately. But–a very small amount of data. More in three months. For all of our car reliability stats, check here. ← First Domestic Chinese Auto Maker to Sell Cars in the U.S.? There are tons of work from home opportunities that currently exist. And, in today’s marketplace, there are way more different jobs over the internet, and this craze is expected to continue nicely ahead. Who would not like to work-from-home on a part-time basis and bring in 1000s of dollars a month? This is an offer many people can’t or don’t resist. So,today I am going to tell you an incredible online based job opportunity from which you can earn between 5000$ to 10000$ per month. Here is what i do —-> NICEST WORK!!! There are tons of online based job opportunities that currently exist. And, in today’s entire world, there are many different jobs using the net, and this emerging trend seems to continue well into the future. Who wouldn’t like to work-at-home on a part-time basis and get 1000s of dollars a month? This is an offer thousands of people can’t or do not reject. So,today I am going to tell you a wonderful online based job opportunity from which you may profit between 5k dollars to 10k dollars every month. Let me show you what i do… —> NICEST WORK!!! There are a variety of work at home opportunities that presently available. And, in today’s world, there are far more work opportunities over the internet, and this emerging trend is predicted to keep going on very well into the future. Who would not choose to work-from-home on a part-time basis and make 1000s of dollars per month? It is an offer lots of people cannot or do not avoid. So,today I am going to tell you an exceptional working at home opportunity from which you are able to earn between 5k dollars to 10k dollars per month. Let me show you what i do… => NICEST WORK!!! Travelling all around the world is a beautiful and fascinating dream. We work 24 hours a day in our company to transform this dream into reality. But how many really able to earn? We bring to you, this awesome online opportunity made in a way that it can help you to obtain great money. Work daily and give your work small number of hours and get as much as $30000 every single week. It gives you possibility to work from anywhere with extremely flexible time and able to dedicate some quality time with all your family members. The time has come to convert your life and bring growth and joy and happiness. Now go and take a look at, wonderful things waiting for you >>> SUPERB OPPORTUNITY!!! Acquire $90 /day for working an online job from your home for several h each day… Get regular payment weekly… All what is required is a pc, access to the web, along with a little spare time… Awesome thing about it is the more time I got for my loved ones. I am able to commit quality time with my friends and family and take care of my babies and also going on holiday with them very frequently. Don’t miss this chance and make sure to react rapidly. Let me show you what I do… START WORKING IMMEDIATELY!! !